You can follow reading group related posts on twitter using the #BioarchRG hashtag. The topic of the paper was agreed to be extremely interesting. Gowland’s central argument was that stresses affecting a pregnant mother, such as famine, disease or social stress, can cause different phenotypic expression in the foetus due to epigenetic plasticity. Later in the foetus’s life these developmental stresses could cause greater susceptibility to diseases and may affect future generations as the foetus itself was affected. 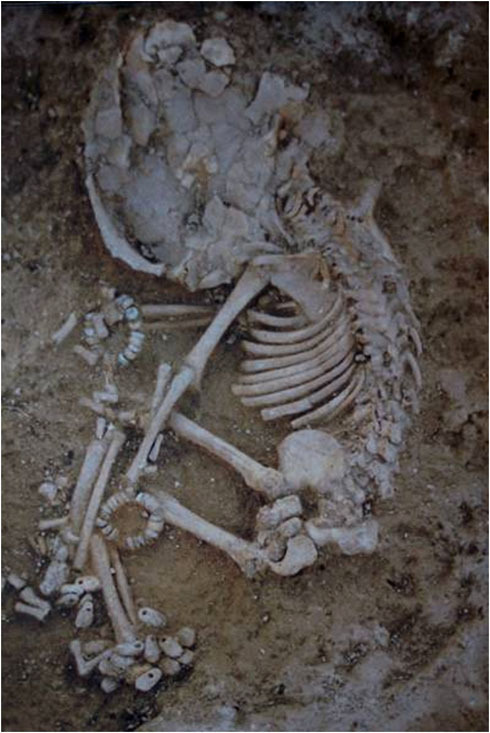 If socioeconomic circumstances can have intergenerational effects, including disease susceptibility and growth stunting, archaeological skeletal osteobiographies can no longer be considered individually. The paper had particular impact for all participants in the discussion as we thought back to our own family histories of stress, wondering if we had been affected, and perhaps worried (probably needlessly) about how we were already making our future generations susceptible to disease! Discussions on the paper centred on some key themes. Beginning with the strengths and weaknesses of the paper, participants quickly picked up on some striking ethical issues that would be encountered in taking this work further. These particularly related to placing blame on an individual, particularly on the mother, for the health of an infant. Also, in testing historically stressed populations to find the long-reaching consequences of pan-generational stresses, would we somehow imply that population was biologically inferior? This discussion was lengthy and slightly off topic, so PhD student Belinda Tibbetts, who was running this week’s session, brought us back on track. We questioned what the study means for the field of human osteoarchaeology. 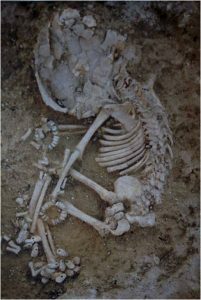 It was generally agreed that it would be particularly hard to apply the theory of pan-generation phenotype plasticity (and expressions thereof) in a ‘standard’ bioarchaeological situation, where the identity of the individual and their relationship with other individuals in the sample is unknown. We also worried about markers of palaeopathology, particularly stress indicators like enamel hypoplasia and lesions, which considering Gowland’s article could now no longer relate directly to an individual’s life conditions, but indeed to their mother’s and grandmother’s. We settled that until more work is carried out in this area we must continue to describe instances of palaeopathology as before, whilst keeping in mind that it could be an expression of generations of developmental stressors. In short, the Bioarchaeology Reading Group had a great first meeting, with good discussions and well-made points. Keep an eye out for following sessions if you’re interested! While aimed at postgraduates, the session is also open for keen undergraduate students. Gowland, R.L., 2015. Entangled lives: Implications of the developmental origins of health and disease hypothesis for bioarchaeology and the life course. American journal of physical anthropology, 158(4), pp.530-540.